Arizona Border Patrol Car Hits Native…And Keeps Going! 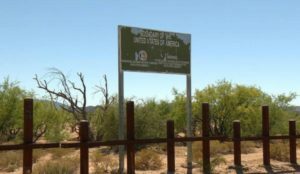 “The video, which was recorded on the phone of the victim, a member of the Tohono O’odham Nation identified as Paulo Remes, spread quickly on social media after several tribe members and Indivisible Tohono, an organization focused on the impact of border policies, posted the footage on Twitter and Facebook. ‘They just ran me over, bro,’ Mr. Remes is heard saying on the video. 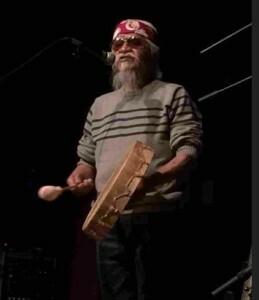 He told The Arizona Daily Star that he was taken to a nearby hospital for treatment of injuries from the incident, which took place on Tohono O’odham land about 60 miles southwest of Tucson. Mr. Remes appeared to be standing in a dirt road facing the vehicle when it made contact, knocking him to the ground. Mr. Remes told the newspaper that the driver of the vehicle did not stop. 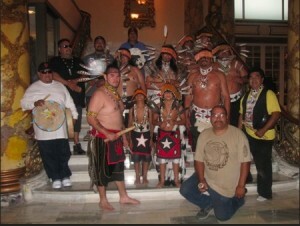 Leaders of the tribe have expressed opposition to Trump’s pledge to build a wall through their land along the border. Largely because officials strengthened security at other points along the border, the reservation of the Tohono O’odham has emerged as an important transit point for unauthorized immigrants and drug traffickers, leading to frequent encounters with law enforcement and the Border Patrol…Robert G. Daniels, a spokesman in Arizona for the Border Patrol, said the agency was not able to release the identity of the agent involved in the episode; the video seems to show the vehicle speeding away after the victim is hit. ‘All I can say is that this incident is under investigation,’ Mr. Daniels said. 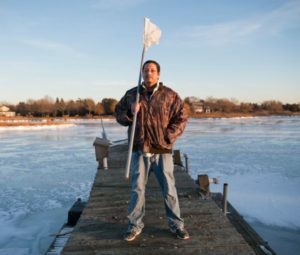 David Taobi Silva, a Shinnecock Indian, stood on a dock within the Shinnecock Reservation in Long Island, near where he received a ticket for illegal fishing. “Two Environmental Conservation officers got a tip last year that Mr. Silva had stretched a long net in a creek off the reservation. They found him at night harvesting an elusive and valuable catch: the nearly invisible tiny eels that wriggle into the headwaters of local bays along the Atlantic coast for several weeks each spring. These toothpick-size eels, also called elvers or glass eels for their translucent bodies, can bring staggering prices in Asian markets, up to $2,500 per pound in a peak market. They are illegal to harvest in New York, a regulation state officials call vital in protecting a depleted population. But Mr. Silva told the officers that he was free to gather the eels, citing an aboriginal right to fish locally that is based on Shinnecock tradition and ancient treaties that predate and supersede government laws. ‘We’ve been fishing here forever, so it’s hard for me to understand that it has suddenly become illegal for Shinnecock people,’ said Mr. Silva, who was nevertheless charged with illegally harvesting the eels. The officers seized his nets. 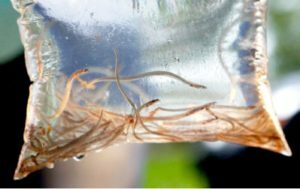 And though the several hundred tiny eels added up to perhaps a fistful, they were still worth $500, said Mr. Silva, who now faces possible fines that could exceed $80,000…The eels have sparked a gold rush hysteria and a related reality show in Maine, which has restricted catch quotas. In 2016, federal and state agents conducted a four-year investigation they called “Operation Broken Glass,” and charged dealers and fishermen across several Atlantic states with trafficking nearly $2 million in elvers, which are flown live to Asian aquaculture companies and raised for use as seafood delicacies (sushi and sashimi). 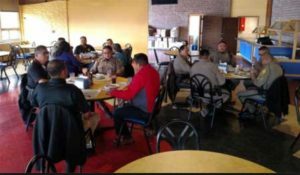 “Diné College is developing a plan to train police officers and establish a new police academy, according to a press release from the college. 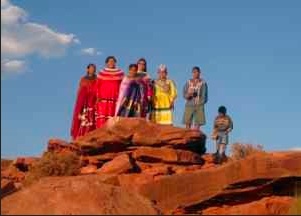 The initiative stems from a June 28 meeting between Diné College leaders and the Navajo Nation’s Law and Order Committee. Navajo Nation Police Sgt. Stanley Ashley stated at the meeting, The lack of police officers is a huge concern. Inspired by the committee’s commitment to this imperative, Diné College is immediately pursuing a historic multi-state compact to fast-track the preparation of a significant number of new police officers for the Navajo Nation, the release states. The college will partner with communities, institutions, and other key entities in the states of Arizona, New Mexico, and Utah. “According to the organization’s website, AIM is first a spiritual movement, a religious rebirth, and then the rebirth of pride and dignity of a people. The organization emphasizes self-determination. In 1975, during a confrontation involving AIM members, two FBI agents were shot dead. 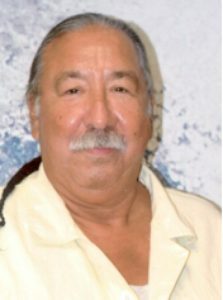 Mr. Peltier was convicted of their murders, but has always said he is innocent. To some he is a hero and to others he is painted as a thug. 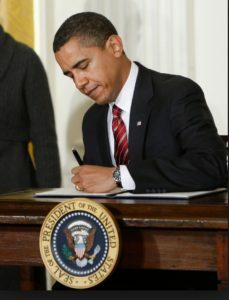 Amnesty International has studied his case extensively over many years and remains seriously concerned about the fairness of proceedings leading to his trial and conviction. Amnesty believes political factors may have influenced the way in which the case was prosecuted. 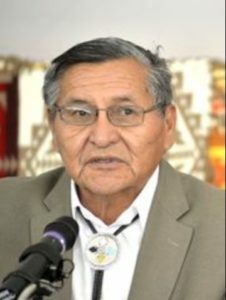 “Havasupai Tribe Chairman Rex Tilousi says he was relieved to hear the Justice Department was recognizing tribal sovereignty when it comes to marijuana. 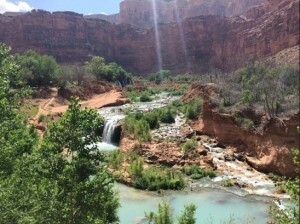 His tribe has grown and smoked marijuana plants for over a century near the Grand Canyon…The Havasupai make what little money they have by taking visitors on mule and helicopter to see their famous turquoise-blue waterfalls. However, tourism is seasonal. Tilousi says having another economic source — like growing and selling medical marijuana — would help his people. Since the Justice Department’s memo was released, FoxBarry Farms has been inundated with more than a hundred calls from tribes that want to start growing operations. All tribes, generally speaking, want the same thing — and that’s economic independence, says Barry Brautman, the president of FoxBarry, which helps tribes build casinos, hotels and, now, medical marijuana operations. They want housing, health care, education, They want to be able to fund those things themselves without having to ask for government’s assistance. 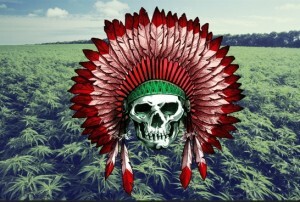 The Pomo Nation, will be the first to grow and manufacture medical marijuana. A tiny northern California tribe, the Pinoleville Pomo Nation, will be the first to grow and manufacture medical marijuana. FoxBarry Farms is helping the tribe build a $10 million grow house.